This is essentially cheating but hey, no one will know if you don't confess your culinary sins. It's not so much making as it is assembling all the ingredients together which literally takes 10 minutes. That is, unless you want to dip into your creative juices and come up with masterpieces on the shortcrust pastry. 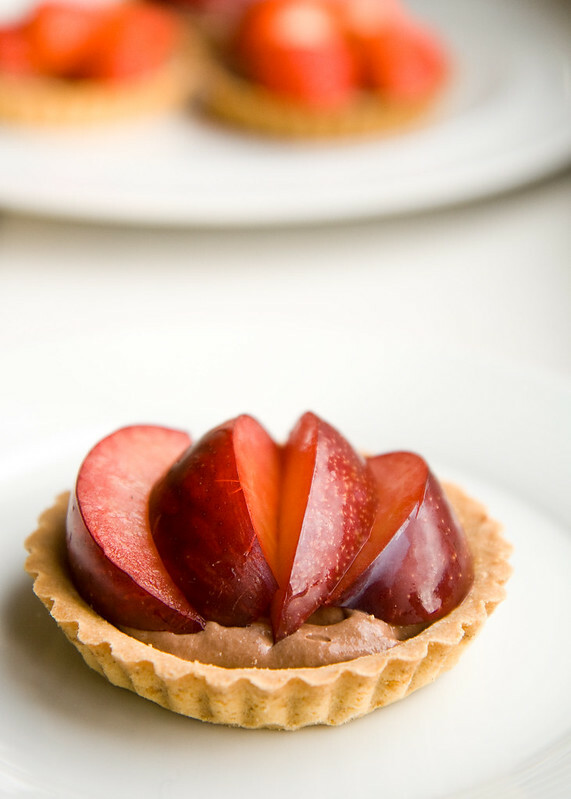 The little tartlets are impressive, a sure way to wow the crowd with little effort. 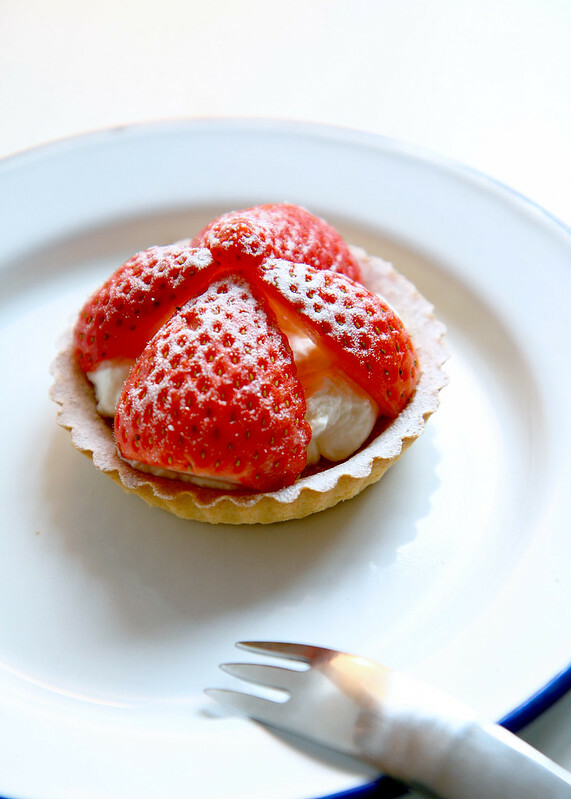 Most importantly, the sweetness of the strawberries complement beautifully with the vanilla whipped cream and buttery goodness of the pastry. As you can tell from the photos, I lack the artistic DNA and ended up plonking pieces of strawberries on top of the cream. I'm sure you can do a far better job. I've also made this with store bought chocolate mousse and plums. You won't even need to whip anything and there's less washing to do. 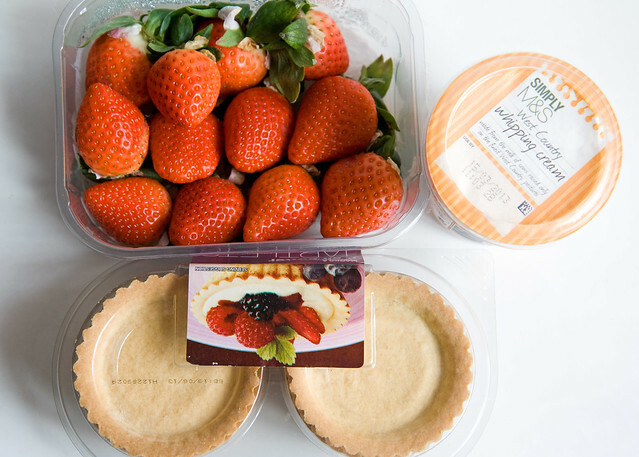 The trick is to find good pastry cases (mine's from Marks and Spencer) and really fresh and crisp fruit. 1. Pour a drop or two of vanilla extract into the cream. 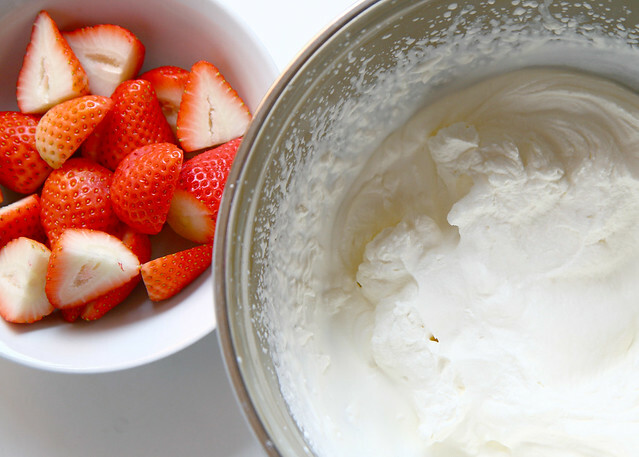 Whip the double cream in a large bowl until it's thick but not too long that it turns into butter. 2. Scoop a spoonful of cream into a case. Level it with a butter knife. Arrange whatever fruit you're using on top of it. 3. You can garnish it with a mint leaf or a sprinkling of icing sugar. 4. 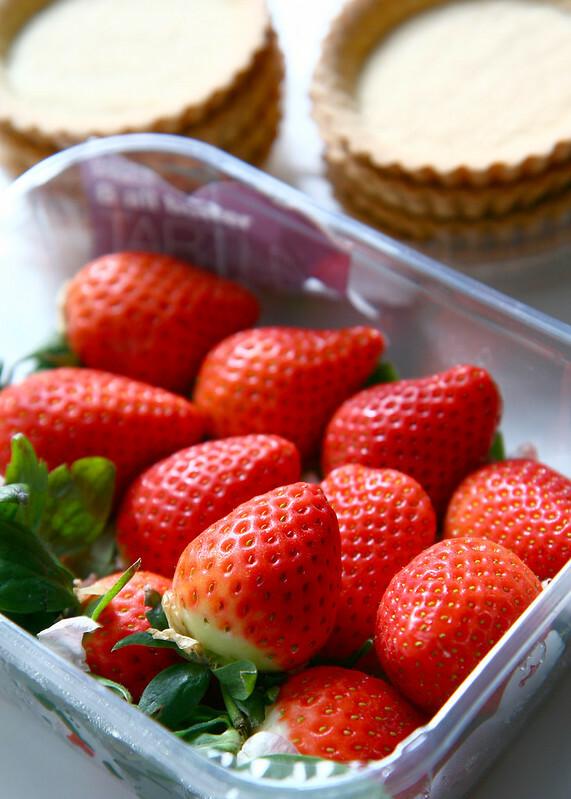 Devour and congratulate yourself for eating a healthy diet (aka fruits). Oh you are my saviour. I think I can actually manage to make these! Will pop on my shopping list and see what the results are like next week i.e. if I don't eat them all up first (and I don't even like whipped cream that much). But I'll have extra brownie points from the Grumps if he thinks I rustled these up! note to self: do not read food posts on blog when starving hungry! How cute do these look?!! So so pretty - I love anything with plums on them. That whipping fresh cream just makes everything taste so much more home made doesn't it? These looks delicious! I'll have a strawberry tartlet with tea please!! No seriously, there is no harm in making an easy recipe from time to time. The best things in life are easy (and sometime free!). Hey if cheating gives results like this I say it's the way to go! Plus who has heaps of time these days. Thanks for sharing your results. It's a great way to make something at home without making it all and without compromising on taste. Oh my goodness, this looks amazing. I must make this! This is something I would do - yum! Great trick :) I will have to try soon. And your food photos are stunning. I need to learn how to take amazing photos like you dear.